A friend commented after reading my book Facing Up that it might have too much Australian slang for an overseas audience. The dialect isn’t trying to be overly Aussie as such, but it still has that flavour. And there are some terms in it that aren’t commonly known to other English-speaking countries. But I’d hope this isn’t an issue – I think any slang is couched in such a way that it’s reasonably understandable. And I really don’t want to change my book so that the terms are all Americanised, as I’ve seen done. It’s a book about Aussie teenagers, growing up in the suburbs of an Australian city (it’s unspecified in the story, but it’s based on my home town of Melbourne). So my characters would never call a work vehicle a ‘pick-up’ or ‘truck’ – it would be a ‘ute’, short for ‘utility vehicle’. A 375ml glass beer bottle is called a ‘stubby’, and cigarettes are called anything from smokes to ciggies to fags (that latter term is rarer today, for good reasons). I love Aussie English, even with its odd habit of shortening everything, then adding a ‘y’ or an ‘o’ (‘breaky’ for breakfast, ‘arvo’ for afternoon). I have no idea why we do that, but here’s an interesting article that suggests some answers. And if you add some Aboriginal English, it’s even more deadly, brudder! (this sort of translates as ‘cool, man’). When I was young (that creaky old phrase! ), in 70s & 80s Australia, we were obviously pre-internet, but also an island continent. Sure, people were starting to fly overseas more often, as international flights got cheaper and faster, but not as much as they do today. So not being able to drop into say, Ireland from England for a day-trip, we relied on immigrants to learn more about other languages and different terms for things. And we heard them on TV, or read them in books. It was easier with TV if you could clearly see what they were referring to, but books could be different. I’m not sure why this sticks in my mind (maybe it’s the reference to food) but I’ll always recall wondering about a character’s nickname in SE Hinton’s early YA book, ‘That was Then, This is Now’, about teenagers in Tulsa, Oklahoma circa 1970. The character was called M&M. Now, that particular US candy had not yet infiltrated Australia, so I was left to puzzle over what it looked like. 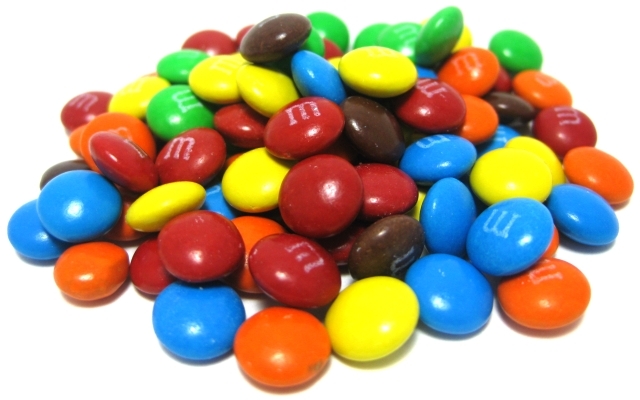 It didn’t stop me loving the book, it just meant that I didn’t have the exact visual reference until years later (and now Australia is flooded by M&Ms!). I’m sure I’ve picked up much more interesting and educational references than this, but that’s just an example. If we all held back from using terms peculiar to our own countries, we’d only have horrible bland books in some form of neutralised English, probably saturated more with American terminology, since this is the biggest market. I haven’t even touched on the joy that is reading about your own culture, which is part of the reason the whole #LoveOzYA campaign was started. It’s the same with pushing to have more people of different races, sexual preferences, cultures and religions on our local TV and in books – there’s that comfort and solidarity in seeing and reading about people just like you, doing normal things. So it works both ways – we should use our own vernacular to set a sense of time and place in our books, to allow people of other backgrounds to see how we live. And it helps give us a sense of our own culture, comforting for the most part! (even if we may wince at the dagginess of some things, including the use of the words ‘dag’, ‘daggy’ and ‘dagginess’*). *Dag: A common Australian term originally from a word for the matted wool on a sheep’s rear end, it somehow then became an insult about someone’s old-fashioned, or complete lack of, dress sense. Now it’s a word of affection meaning someone who is being a bit silly but loveable – ‘C’mon, you big dag, let’s go home!’ No, I don’t understand the connections, either! This entry was posted in Writing and tagged #LoveOzYA, Aboriginal English, Aussie, Aussie English, Australian, cultural references in writing, dag, SE Hinton, That was Then This is Now, vernacular, YA. Bookmark the permalink. I love slang! I think it gives great character (even more so in audiobooks). And besides, Australian slang is fun, even if sometimes I have an awful time figuring out simple things (like ‘mossie’ for ‘mosquito’). I love a lot of American slang, especially Southern for some reason. And Irish slang. I think accents make some words cooler, too! Me too! Except when overly excited, then it’s all nasally Strine (Australian slang for our accent). Ha, every time I read Wisconsin, I hear the theme song from That 70’s Show – ‘Helloooo Wisconsin!’ I’m so cultured! Hey, at least it isn’t Happy Days (the other show people know from Wisconsin) – then you might feel old as well! I think your friend is a deep thinker and I see his/her point, but ultimately, people look up words they don’t understand in books. We would miss out on a lot pleasure and the chance to escape into another world if the English in every book was modified to milk-toast English. Shakespeare, Mark Twain, Truman Capote are three examples of authors whose characters spoke the English of their time and place. The language should fit the characters in the book. American readers would laugh if a Texas character spoke like an American living in the Lawndale area of Chicago. or, say, upper Maine. There can be three different accents in just one state in the U.S.A. and they all have regional ways of saying something. A drinking fountain in an Illinois school is called a “bubbler” in Philadelphia and on, and on, and on. It’s a joy, isn’t it, even if sometimes the words seem to have no reason for existence, like ‘togs’, which is one of several Aussie slang words for a swimming costume! In my little state of Rhode Island ,we have some jargon like “bubblah” for water fountain and “coffee cabinet” for a coffee milk shake. And for the smallest state, we are loaded with many different accents. Really good point. Here in America we are trying to encourage more diversity in books, particularly for the young. It is an idea we can all support, I’m sure.